1 place helicopter deigned for observation and assault. The landing gear consisted of 3 metal feet on protruding legs. 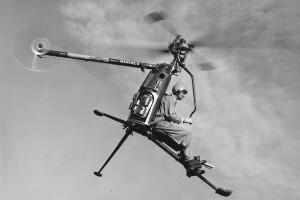 Resources related to the XROE-1 Rotorcycle, provided by the Vertical Flight Society. Resources related to the XROE-1 Rotorcycle, provided by public sources across the internet.